Fàilte traveller. You have been summoned here to witness the birth of a distillery, one that will become powerful and then dwindle to smoking peat embers, only to be stoked once again by the howling Ileach winds and rise even stronger than before. Look ye now to the peat bogs, for cometh the man, but perhaps not yet the moment. Duncan McDougall is his name, and he travels to rent the farmlands on the South East coast of Islay known as Ardbeg, Airigh nam Beist and Ardenistiel. Come; let us step forward in time to see what will be. I am sure one such as you knows the way of it. Now friend, the true moment. Here is Duncan, and with him his son John, and grandson Alexander. They have fashioned themselves as McDougall & Co. and raised a distillery on the land known as Ardbeg. Watch closely, ye silent observer, as they flicker across the years, crafting a dram with a heart of smoke. The fire that was Duncan burns no more, and John works the land in his place, while Alexander is tasked with tending the waters of life. Woe to the makers, insolvency falls, and Ardbeg changes hands. Let your gaze pierce across the sea to Glasgow, where the coffers of Thomas Buchanan Jr. now stoke the Ardbeg fires. But the McDougalls work on, leasing their creation from the new masters and tending to their amber child. Alexander is lost to time and the Ileach wind. Turn your gaze watcher, for new players walk the stage. Here is Flora and Margaret McDougall, sisters to the old wolf and distillers in their own right; Colin Hay, proprietor newly made; his son Collin Elliot Hay, distiller at the helm; and John Ramsay, great owner of not only Ardbeg, but Laphroaig, Lagavulin and Ardenistiel too. This small god of the Ileach tends his emerging villages and their vaunted distilleries well, ensuring that their leases endure long and the water flows unimpeded. Can ye feel the power in the air? The reek of the mash and the thrum of the industrious as they transform barley, water and yeast into more than a million litres of smokey whisky. These craftsmen are the kings of the island and their work a champion of the blend, although the true believers know to take strength from the untransmuted Ardbeg spirit. I see you watching me traveller, and seeking the nature of the fall. Step once again and we shall see. War. The venerable whisky makers of Scotland weep golden tears as their industry bleeds. On Islay, the once mighty Ardbeg is now only a shadow of itself. The distilling bans of this terrible world struggle are just another blow after the horrors of the Great War, and the harsh realities of economic depression. The old guard are no more, and a pall drifts from men who know how to be bankrupt or creative with bookkeeping. Here is the true nadir my friend. Ardbeg is closed and all but a few chosen gone. The village mournfully quiet and the air wrong, missing the tang of fermenting barley. The future uncertain. After the war life returned, but never recovered. The McDougalls passed their torch to the Ardbeg Distillery Ltd, and the distillery became a bauble for giants, a speck of smoked quartz tumbling in their collections. Your eyes betray you wanderer. What room is there in this bleak world for the distilleries of Islay they ask? Listen to the capricious Ileach wind my friend, for it blows from the east and whispers a name, Glenmorangie. 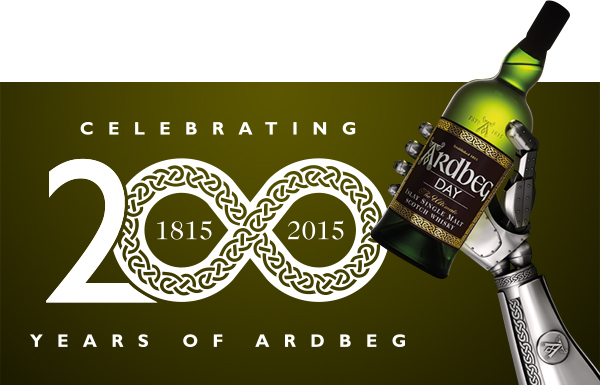 I told you at the start of our journey that Ardbeg would rise once again, and here is its saviour. 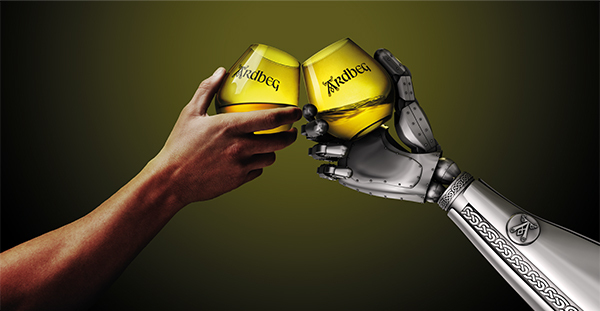 An amber crusader by the name of Bill Lumdsen will take Ardbeg and reforge it in smoke and fire into a legendary single malt famed across the world and even to the stars themselves. But the how and why of that great transformation you must discover for yourself. Here our paths split and I must walk another road. I bid you farewell my friend, fellow watcher of the ages. Great history lesson here! Thanks guys! (wipes tear) a sad tale. Hoping next chapter brings more hope. (Checks behind bookshelf where he hides the good stuff from maurading college kids home for holiday). Ah, yes, hope will spring anew….